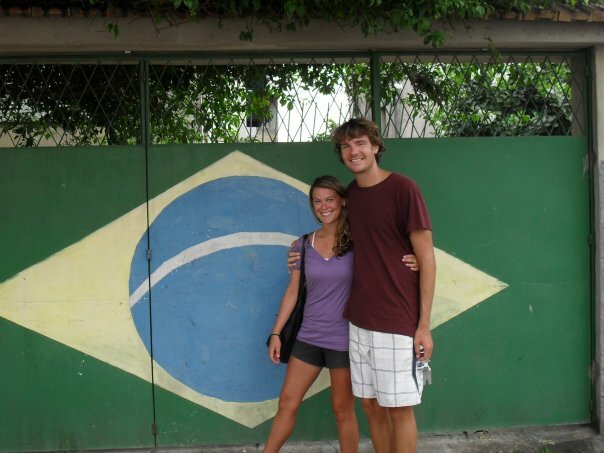 Our Next Big Trip: Brazil 2014? In 2009, it was backpacking around South America for 2 1/2 months. In 2011, it was visiting my sisters in Denmark and Spain. In 2012, it was our honeymoon in Asia. In 2013, it was our friends’ wedding in Ireland. But as of right now, it’s the first time in awhile* that Aaron and I haven’t planned our “next big trip,” and it’s starting to freak me us out! One of the ideas that we’ve been kicking around (yes, pun intended) is going back to Brazil for the 2014 FIFA World Cup. Aaron and I spent a little over a month in Brazil in 2009 and covered nearly everywhere that we had wanted to go: Manaus in the Amazon, the hammock boat trip to Belém, Jericoacoara, Natal, Maceió, Salvador, Rio, Búzios, and finally Foz do Iguaçu. However, we didn’t have the greatest weather while we were in Rio, so we knew that we’d have to go back some day. And really, what better time is there to visit Brazil, the country that absolutely worships soccer, than while it hosts the World Cup? Okay, okay, yes, there are plenty of better times to visit Brazil, we know. We are aware that the price of everything there will surge. We know that the host cities are going to be extremely crowded. We’ve read about (and experienced**) street crime and other potential dangers. The first round of matches will take place in June, when it will be winter down in the Southern Hemisphere. But despite all of the negatives, we still can’t help but be intrigued! I used to play soccer growing up and was lucky enough to go to a World Cup game in 1994 at nearby Stanford, but Aaron has turned into quite the soccer fan himself recently and I think that he’s even more enthusiastic about the possibility of going to a World Cup match in Brazil than I am! So by no means are we going to go through with this idea for sure, but I did just want to mention that starting today you can register online to apply for tickets. And if you want more information about the ticketing process, check out this page. I’ll hopefully have another update on wherever our “next big trip” is shortly! * 2010 was a bust because it was our first full year out of law school and we knew we had to make $$$. ** I had a small gold necklace ripped off me by a crazy lady in Belém while walking down a main road in broad daylight.